I’m not going to sugarcoat it: the StarCityGames Louisville Classic was a total nightmare. Not the nightmare where Wizards doesn’t reprint Damnation in Eternal Masters, or where Jeff Hoogland doesn’t drop his turn one Birds of Paradise (which, to my horror, I witnessed this weekend!). This was the kind of twisted, tentically nightmare normally reserved for H.P. Lovecraft or certain Japanese genres. SCG Louisville saw a Day 2 that was 48% Eldrazi and a Top 8 that was 50% Eldrazi. Decks 9-16 were seven-for-eight on Eldrazi variants, and the overall Top 32 saw 20 Eldrazi representatives. Add this on top of the dismal Pro Tour metagame, the laughable MTGO and paper statistics I showcased last week, and every single Top 8 player at Louisville supporting at least a Temple ban, and all signs point to brokenness. Hideous, eldritch brokenness. I’m going to wrestle with these ghastly numbers on Wednesday, but today we all need a Thopter’s eye breather from the Eldrazi blight. Even if it felt that way on coverage (plus Twitter, Reddit, forums, and basically all discussion surrounding the event), SCG Louisville wasn’t all Eldrazi all the time. In the 10% of the time the colorless monsters weren’t ravaging the format and feature match area, we saw a number of interesting cards, synergies, and strategies which the Eldrazi are likely to overshadow. Assuming the format’s current imbalance isn’t internally corrected, a possibility as vague as a John Kasich comeback in the Republican Primaries, many of Louisville’s best interactions will live on past April bans. Today, we’re going to focus on a few of those non-Eldrazi moments and highlights at SCG Louisville and how those might benefit Modern in an Eldraziless future. When asked about the weekend’s most-valuable-creatures, many players would surely point to Eldrazi Mimic, Reality Smasher, and Eldrazi Displacer. Or maybe Eldrazi Scion tokens. These cards, although interesting (in a captivating, watching-the-Republican-primary sort of way), are unlikely to remain as strong or relevant in April. The same cannot be said of Modern’s rising celebrity couple and their 1/1 flying sidekicks: Pia and Kiran Nalaar. From the moment we first saw Hoogland’s Kiki Chord on camera, the Nalaars proved their versatility and power all weekend long. The Eldrazi will come and go, but Pia and Kiran will stay eternal in Modern, and I expect we are going to keep seeing more of them as players realize just how indispensable they are for many strategies. We’ve talked about Pia and Kiran on this site before, primarily citing their power in midrange matchups: Lingering Souls and Shockesque reach goes a long way in a grindfest. SCG Louisville added another feather for Kiran to stick above his Comic-Con worthy goggles. Affinity, Modern’s best aggro deck, gets a major edge in its airforce, which fly over Tarmogoyf and Tasigur, the Golden Fang, as well as control roadblocks such as Wall of Omens and Kitchen Finks. Thopters were made to dismantle enemy (Bl)Inkmoths and Vault Skirges, chump or outright kill Etched Champion, and Fog out Master of Etherium for two combat phases. We saw this in action in a Louisville Day 2 round, where the Nalaars earned Hoogland a game (and almost stole another) against the tournament’s eventual winner, Austin Holcomb. Veteran Jund and Grixis mages have been using Pia and Kiran Nalaar for a while now, so they might have already enjoyed her anti-Affinity applications. For any of you who still aren’t running the Artificers in your red deck, it’s time to reconsider. This dual relevance against preeminent aggro deck Affinity, on top of her strengths in the midrange grind, should cement her status as a red-deck staple. If you aren’t playing her now or after April, you better have an excellent reason. Looking to Louisville, we see the Nalaars in all four of the four (non-Eldrazi) red decks that made Top 32. Dylan Jones ran one in his 21st place Jund list, capitalizing on the Kolaghan’s Command recursion synergy and playing into Jund’s natural reach with Command and Lightning Bolt. Down at 24th, we saw Benjamin Nikolich jam a Pia and Kiran pair in Blue Moon. Batterskull loves to equip to flying Thopters as a 5/5 lifelinking clock, or tailored onto the Nalaars themselves for a 6/6 roadblock: their Shocks even gain you life with the Batterskull suit! Of course, you can also pitch the living weapon itself in a pinch, giving as much as six extra points of reach to a deck already heavy on Bolt, Electrolyze, Burst Lightning, and Snapcaster Mage. Finally, Gabriel Hatcher used a singleton legend in his Skred Red deck at 27th. There, they duo has no synergies whatsoever (short of chucking spare Coldsteel Hearts in the lategame), which just further underscores the Nalaar’s importance in all red decks. Of course, Pia’s and Kiran’s resume would be incomplete without their obvious and gamebreaking synergies in Hoogland’s Kiki Chord. From a single-deck perspective, I expect we’ll see many more players adopt and (attempt to) harness Hoogland’s masterpiece. Pia and Kiran Nalaar are central to his deck’s power, whether with Eternal Witness, Voice of Resurgence Elementals, or the devastating Restoration Angel. From a format-wide perspective, this Restoration Angel pairing promises to be Modern-defining once Jeskai and WRx strategies are back on the post-Eldrazi map. This might also take the form of Flickerwisp strategies (WR Death and Taxes, anyone? ), or Ghostway upgrades using Shadows Over Innistrad’s new Eerie Interlude. Whatever particular decks they find home, Pia and Kiran Nalaar are sure to be integral Modern players for much of the year. Their role against midrange, aggro, or control, and their incredible synergies with other powerful cards, make them an invaluable 1-2 inclusion in any deck packing red, and you’d be wise to join their fan group now or when the Eldrazi go packing in April. As Darwin Kastle famously opined, if you’re asking about building a transformational sideboard, the answer is often “no.” This approach trades conventional sideboard slots for a package of cards to change or augment your deck’s main strategy. Unfortunately, it often runs the risk of diluting your sideboard of meaningful answers, and/or crippling your maindeck’s ability to execute its primary plan. Modern typically follows the 1-2 bullet method of sideboarding, where you cram your 15 full of diverse answers that would make singleton lover Frank Karsten proud. Alternately, Modern players dive headlong into the 3-4 card commitment to bad matchups: Leyline of Sanctity in Bogles, Hurkyl’s Recall in Merfolk, Fulminator Mage in BGx, etc. Modern has also seen a few more successful transformational approaches. Amulet Bloom was a major example of this, transitioning from Hive Mind and Primeval Titan combo to Hornet Queen and Thragtusk over-the-top ramp. URx Twin was also famous at this game, ditching enough combo elements to play control or tempo, but keeping enough in to threaten a kill. SCG Louisville saw the next evolution of this transformational sideboard in a deck that, at first glance, feels like one of the worst candidates for transformation: trusty old Affinity becoming wacky new Lantern Control. In what will surely go down as one of the most under-appreciated, nuanced, and brilliant deckbuilding decisions in recent Modern history, Austin Holcomb added a pair of oddball artifacts to the Affinity sideboard. The rest of his 15 were all Affinity regulars such as Ancient Grudge for the mirror, Whipflare for Company decks and those evil Spirit and Thopter tokens, and Ghirapur Aether Grid to circumvent the nasty and inevitable Stony Silences. Holcomb rounded out the board with two Ensnaring Bridges, a metagame call against massive Eldrazi, and a natural combo with Aether Grid. Zac Elsik and Sam Black would be proud to see one of their favorite synergies winning SCG Louisville, even if it did so as part of a dirty aggro deck and not a pure prison one. Moderners as a whole have a lot to learn from this bold innovation, especially in a field where minute advantages can win tournaments, let alone individual matches. I don’t expect we’ll see Affinity playing a lot of Bridges and Grids in the future, especially if Eldrazi eat the April ban. It’s such a narrow metagame call against such a tiny band of decks that it wouldn’t pay off in most Modern fields. 50% Eldrazi, however, is hardly “most Modern fields,” so Holcomb’s gamble paid off big at SCG Louisville. The specific pairing isn’t what’s important, even if I wouldn’t be surprised to see it in the Affinity toolbox in the future. Rather, it’s the concept of building on an existing sideboard card (e.g. Ghirapur Aether Grid) to create a powerful micro-synergy that also fundamentally transforms its host deck. This minimalist approach to transformational sideboarding has always existed, but I expect (and encourage) players to have newfound appreciation for the method after SCG Louisville. It works particularly well at a local level, where you can predict matchups better than at a Grand Prix, or at a larger level when you can count on certain strategies showing up in large quantities. One place we’ve already seen this is with Grishoalbrand (and other Simian Spirit Guide decks) and Blood Moon. Jordan and I are huge Moon fans, and the threat of going turn two Moon after sideboarding adds an entirely new dimension to your threat portfolio. Colorless Eldrazi adopted a similar approach with Chalice of the Void at X=1, another synergy I expect to survive the next few months. Another idea is to run Restoration Angel copies in the maindeck with no Kiki-Jiki, Mirror Breakers in sight, and then to board in a pair for Games 2-3. Many players will justifiably ditch some spot removal against a plodding Jeskai control list, and Kiki-Jiki plus Angel punishes them for this. In all these cases, the key is to not commit too many slots to the transformation, and to ensure at least part of the transformation is something you’d already be doing (e.g. Grid in Affinity, Guide in Grishoalbrand, Angel in Jeskai decks, etc.). Because this approach lends itself so well to combos, look for both win conditions like Kiki-Jiki, but also soft locks like Moon, Bridge, and Chalice. These gamebreaking plays can rob opponents who come unprepared while not costing too many valuable sideboard slots on your end. Jeff Hoogland plays a lot of Kiki Chord. This gives us a curious point of comparison to see how heavily he modifies his core list between events. For reference, we’ll be looking at Hoogland’s build from the pre-Eldrazi SCG Open in Charlotte, and his recent 5th place list from SCG Louisville. As veteran deckbuilders already know, and as Hoogland’s lists illustrate, even in the most hideously warped metagames you will still maintain most of your deck’s core. Heed this example and don’t metagame or change things too heavily! Ignoring sideboards, which obviously change from event to event and field to field, Hoogland’s lists were remarkably consistent. A full 29 of his spells were identical in both name and number between the two decks. Another seven overlapped between the two lists, but with slightly different ratios. This consisted of one Wall of Roots at Charlotte versus three at Louisville, down one Scavenging Ooze from two, and down to three Voices from four. His manabase had a 100% overlap between events, with only three extra cards making up the difference between those decks: -1 Fulminator Mage, +1 Lone Missionary, Obstinate Baloth, and Big Game Hunter. 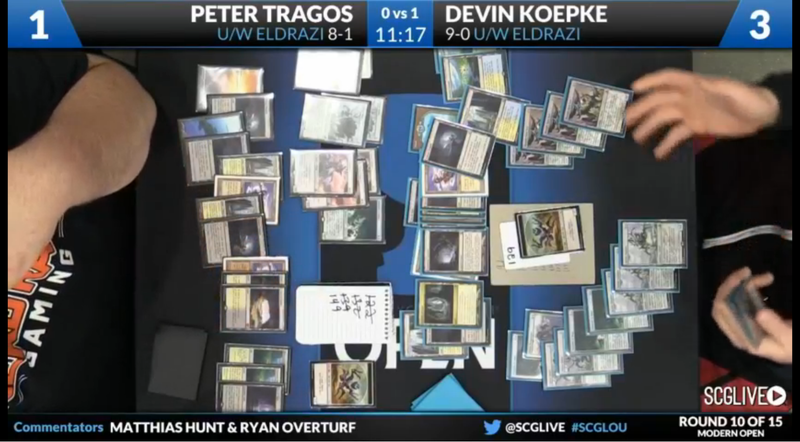 The two metagame contexts of those events couldn’t have been any more different (one was 3% Eldrazi and 12% Twin, the other 48% Eldrazi and 0% Twin), and Hoogland would have known this before the event. His maindeck consistency is a testament to the importance of sticking to your powerful core, not to mention staying on a strategy you know, without diluting your gameplan with too many metagamed solutions. Our keen-minded readership will rightly point out that Hoogland’s toolbox deck lends itself towards minimalist changes from event to event. With Chord in the picture, Hoogland can afford to run only three new cards in a metagame crushed by almost 50% Eldrazi. Do other decks fit this mold? SCG Louisville offers us another illustrative tale in Dylan Jones, who played Jund this weekend and also played Jund to a 4th place finish at an August 2015 Invitational Qualifier in Evansville, Indiana. Again, as with Hoogland’s Kiki Chord, Jones’ metagame context couldn’t have been more different. Also as with Hoogland’s two decks, Jones had significant overlap between his cards. A full 32 of Jones’ cards were the same between two lists, despite their six month separation. The manabases were off by only a single fetchland swap, with only the Nalaars (go Nalaars! ), Kalitas, Traitor of Ghet, and Seal of Fire taking up new deck stock over the old Huntmaster of the Fells, Olivia Voldaren, and an extra Command. In both cases, Hoogland and Jones went into disgustingly warped fields, knowing full well what they would be up against. Both of them shifted the majority of their anti-Eldrazi preparations to the sideboard and not the maindeck, preserving 90%-95% of their deck’s core despite the dramatically altered field. This is a strong endorsement of sticking to your guns in Modern, an old adage which many know but fewer follow. It’s tempting to try out-metagaming the metagamers, deviating from your central gameplan to pick up an edge. The Hoogland and Jones case are two SCG Louisville case studies that point away from this mentality. We’ll ignore the fact that everyone else adjusted to Eldrazi by playing a different species of Eldrazi, because we’re looking for immortal Modern takeaways, not symptoms of a broken metagame. I know some of you will point to economics, card prices, and card availability as major factors in these overlapping decklists. Although this is certainly a factor for some players, it is unlikely to be at play in these two examples. Hoogland has access to many more cards than just those shown in his lists, and surely could have made larger adjustments if he wanted to. As for Jones, with six months between events, Jones had ample time to order up some tech online to upgrade his deck. Both players chose not to, which speaks more to the power of their core than the volume of their wallets. We also see this notion of a “deck core” all the time in nonrotating formats, and SCG Louisville is just the latest datapoint to support this broader observation. Keep this in mind as you leave the weekend. Ditching Lightning Bolt to metagame against Eldrazi might seem smart at the time, but there’s a reason the Jund core is the Jund core and you don’t want to stray from it too much. We’ll have three Grand Prix events in just under two weeks, which should settle the Eldrazi’s fate once and for all (that is, if it isn’t already settled). Modern is in a warped Stasis holding pattern until then, with everything defined by Eldrazi but no one investing too heavily in it for fear, or hope, of a possible ban in April. This puts Modern content producers like myself in the strange position where we need to acknowledge the severity of the issue but still write more than a Twitter post to Aaron Forsythe pleading for action. Hopefully, today’s article gave us something to look forward to beyond the Eldrazi nightmare, while still setting the stage by admitting their overall dominance. Let me know in the comments what else you’d like to see in the coming weeks, especially because I’m as tired writing about Eldrazi as players are encountering them (and, probably, you are tired hearing about them too). Until then, gather up your Pia and Kiran Nalaars, refine your transformational sideboards, and don’t stray too far from your deck cores. We’ll get through this together and I’ll talk with you all soon! As usual, the article’s data-driven analsys and lack of hysteria are what keep me coming back. Keep up the good work, and may I suggest a look at the role Kalitas is playing in this new meta? The card is an absolute house in any grixis or jund deck that can cast it. Glad you enjoyed the piece! Hysteria is the last thing I want to be a part of, and I’m glad our content is coming off that way. Kalitas is very interesting in the metagame (and the hypothetical post-Eldrazi metagame), and I’m curious to see how else he appears in the format. Jund is obviously adopting him but perhaps the lagging Grixis will soon as well! Calling Amulet’s sideboard transformational is weird to me, it was a ramp deck game one that sideboarded into a ramp deck game two. You just replace worse threats with better ones, hence why Hive Mind -> Hornet Queen swap. There’s nothing tranformational about it, it’s just a reasonable thing to do. Also, I’d like to see SOMETHING on the main page addressing this change to the comments section–clearly some kind of further identification was necessary, but still. 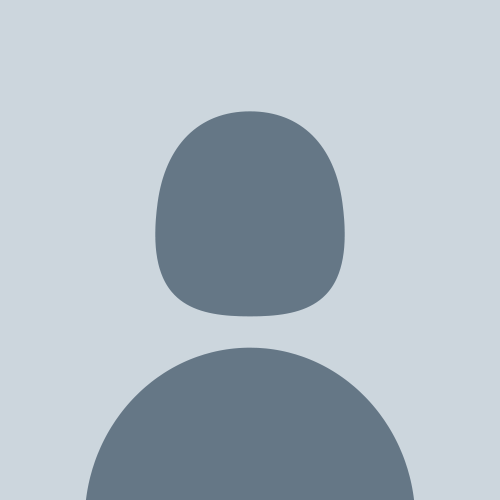 Requiring connection to some sort of actual personally identifiable social media is somewhat obnoxious. It’s transformational in the sense that it goes from a combo deck to a ramp deck. As Chris VanMeter has explained both on camera and in articles, the goal is to start as the turn 2-3 Amulet Bloom combo deck with a Titan Plan B. Post-board against BGx and similar decks, you become a pure Tron-style ramp deck, probably with no combo plan A or B at all. That’s a big shift in playstyle, even if it doesn’t encompass a lot of changed cards. Mom and Pop’s Thopter Shop. It isn’t the shorter name, but it is the correct one. I always used Parents, but Mom & Pop’s Thopter Shop looks good. During gameplay? Like, you would cast them and announce “The Parents” and wait for a response? Seems off somehow. Yep, but that’s what they’re called. PikiChute. Because PIa and KIran and chutes fly. I try to avoid abbreviations in articles, but in everyday speech I often just use “P&K.” But I like a lot of these other suggestions! Very flavorful and fun. Oooh goody, it looks like my asinine baying here and on reddit is finally starting to have some small effect. I will also suggest that you and others contact Professional Event Services and warn them that their tournament entry take could suffer due to the current state of Modern. I’m not sure who is running the other GPs, but they should be badgered as well. My suspicion is that tournament attendance will take a hit and this will be a strong vote in favor of a ban. Not that we need too much more of a message, given the obscene warpage in Modern. You’re spot on in identifying economic impulses as being big for Wizards, and I expect it contributes to action in April. I play with Eldrazi but that is not the healthy and diverse metagame I was expecting. I agree that Eldrazi Temple needs a ban as soon as possible. Pauper, Legacy, Vintage, Standard and “Eldrazi”. Eldrazi left Zendikar and now they are threatening Earth plane. Please Wotc seal them before they destroy modern realm. Aaron Forsythe Tweeted today about waiting until April to act, which I strongly believe is the correct call. I also believe there’s basically zero chance the Eldrazi survive April, so the format should be rebalanced again soon! “rebalanced” I hope you’re right!